I don't know about you, but I'm always on the hunt for the perfect tee. Some are too baggy, some too clingy, and others just don't fit right. I recently found out about a Massachusetts woman-owned (yay!) company called Tapered Collection. When the owner Astrid asked me to test out her pieces, I was "teed up" (sorry). This cotton tee is super breathable. It has just right amount of looseness around the middle so it camouflages that pesky muffin-top without looking shapeless. 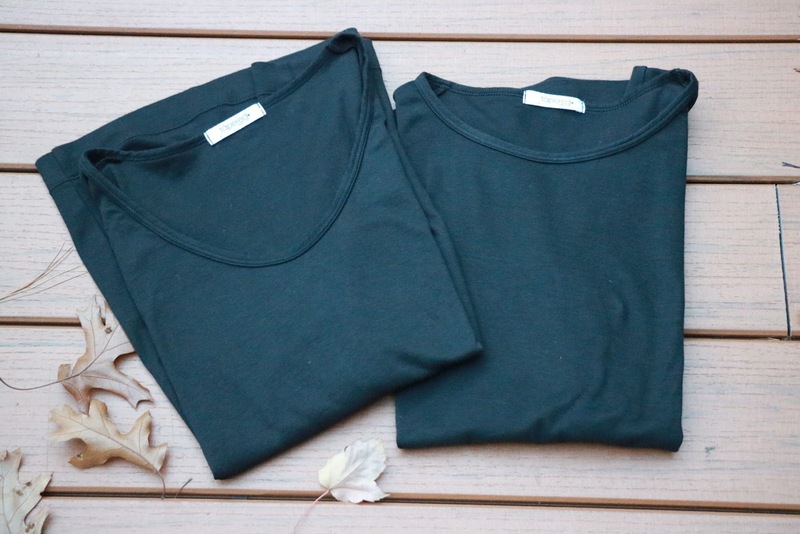 Tapered Collection's tees not only have a great fit, but the neckline and length are perfect for layering. Here I've paired their scoop neck tee with a leather moto jacket and gray jeans. I love their "v-neckline"tee too---it's super flattering! Tapered Collection's tees have 3/4 sleeves to show off some arm candy. I paired this outfit with Ann Taylor's suede metallic heel pumps which look really similar to this Prada version. Similar styles HERE and HERE too (love and on sale!). And a tassel necklace polishes it off! Similar HERE and HERE. Tapered Collection takes the same amazing tee and turns it into a dress! 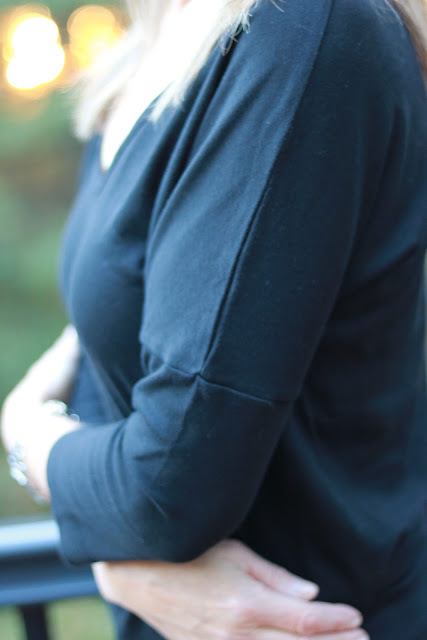 A tee-dress is on my "must-have", closet staple list! The love this dress because it can be worn almost all year round--and the fabric is just the right weight for layering. I topped things off with a faux fur vest, but honestly you could add a denim jacket, leather jacket, belt (love! ), or scarf. The sky is the limit with this fabulous basic! Gold cuff (old), others I like HERE and HERE. 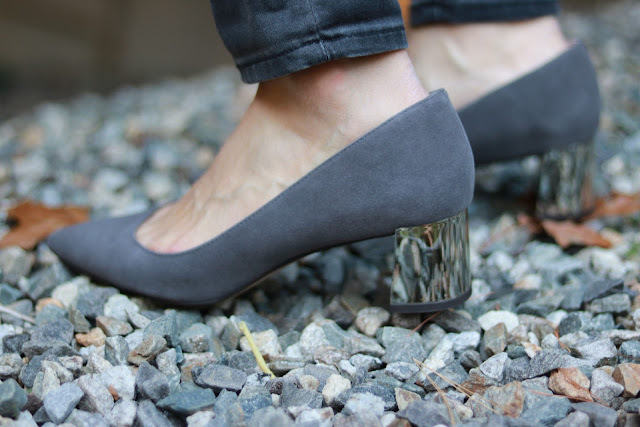 You are going to get sick of seeing these Ecco ankle boots, but they really are fabulous. This is the second season I've worn them and they still look brand new. Plus they're SO comfy! This season's pick HERE. I should also mention that these tees are 100% cotton,pre-shrunk and garment dyed, so no shrinking or fading! I went up a size because I like my tees on the looser side to accommodate my ever expanding muffin top (oiy). So let your search for the perfect cotton tee stop here! Photos by the super talented Chantal Kellerd. This blog is sponsored and Tapered Collection pieces were gifted. However, the content of my posts are based on my own honest opinions and are not in any way influenced by partnerships. I am always on the look out for a great tee, I love the idea that these hide the muffin! 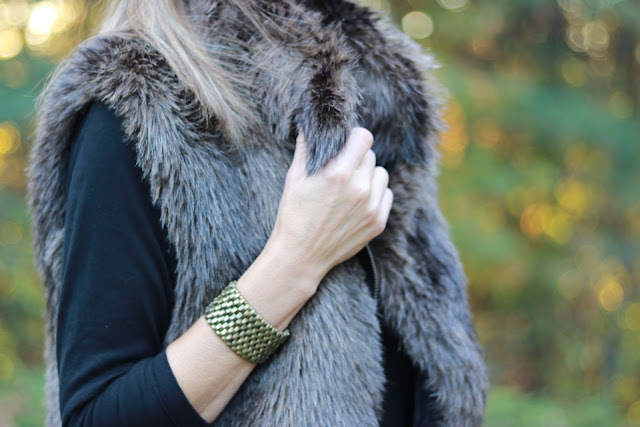 The dress is a great staple as well and I'm loving it with your fur vest! Super cute outfit ideas! What a wonderful outfit! And yes, the perfect tee is a wardrobe must have! Thanks so much for sharing with Fun Fashion Friday!